It’s worth to mention the “S” and “M” of memory and storage respectively. Above table values are prices in ETH. The miners will include transaction with a higher price so when an user pays more per GAS, more fast the his/her transaction will be included in a block. Store data permanently on Ethereum is extremely expensive. It has no sense to use Ethereum to store data. It should stores only the required data to work properly and delegate the storage to other solutions: Swarm, Filecoin, IPFS, etc. A good idea is to store a Merkle Tree root hash as a tamper proof of data store on an external service. Also, an unexpected and fast increase of ETH prices can increase the cost of the operations in terms of FIAT money to a high levels. 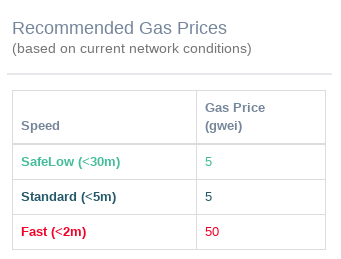 Miners have to adjust their min ETH price per GAS, if it happens, to readjust the costs. It’s important to analyze smart contracts in terms of GAS consumption to control the operational costs.